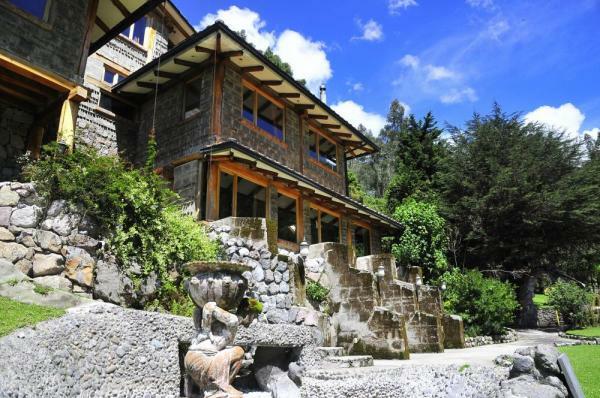 Historic family ranches dating back to the 1600's are found along the Avenue of the Volcanoes of the Ecuadorian highlands. 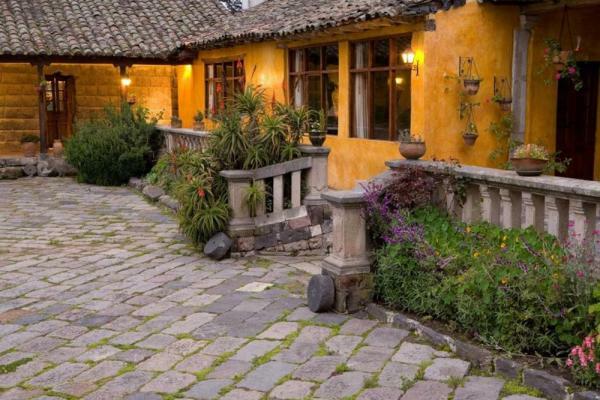 These haciendas provide a glimpse into the history and culture of a time when Spanish heirs ruled expansive farms containing entire indigenous villages in the shadows of the Cotacachi, Cayambe, and Cotopaxi Volcanoes. This 7-day trip explores the highlands with visits with an expert guide to the market town, Otavalo, and to Cotopaxi Volcano. Relax in the evenings at the luxurious Haciendas Zuleta and San Agustin de Callo and enjoy the home-cooked meals after the days' excursions. 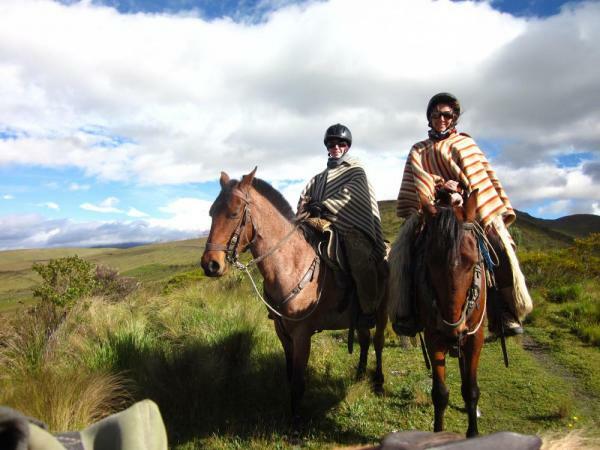 This trip can be customized based on travelers' interests with optional horseback riding, hiking, and other cultural activities. Arrive in Quito and be greeted and transfered to the Hacienda Rumiloma. 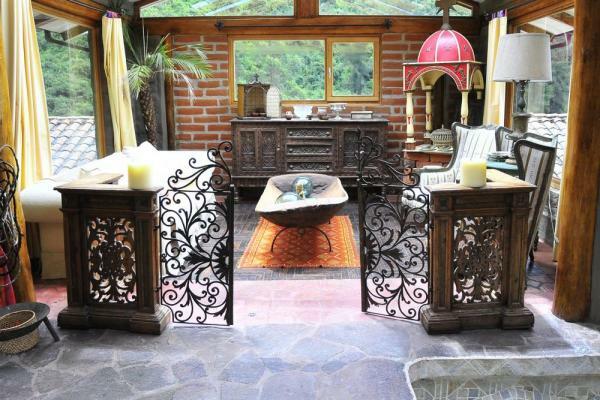 This charming hacienda is located only 15 minutes from Quito and is situated in nearly one hundred acres of primary Andean forest on the side of the Volcano Pichincha overlooking the city. The hacienda backs up to thousands of acres of national park land with scores of trails, a small river, and llamas grazing peacefully. 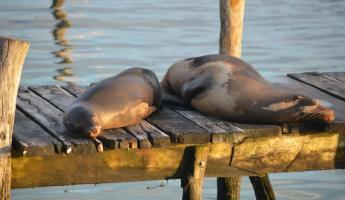 Enjoy breakfast, and for the early-risers, a nice walk around the Rumiloma's property. 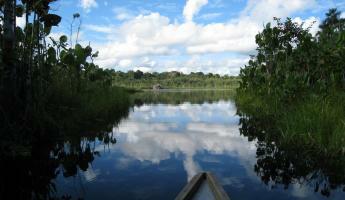 At mid-morning, depart Quito and travel north to Calderón, a small village about 10 km northeast of Quito. Calderón is a famous center for unique Ecuadorian folk art. Witness a local art form where attractive decorations are made from dough. 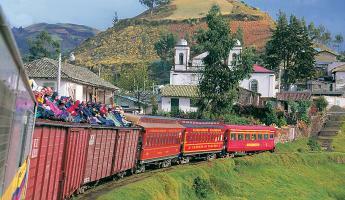 Continue to Guachala, a community transected by the equator, and pass through Cayambe on the way. 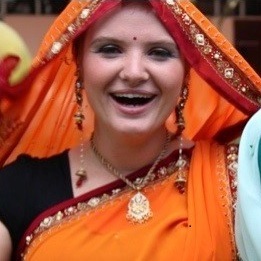 Next, arrive in Otavalo where you visit the famous Indian Market which dates back to pre-Inca times. 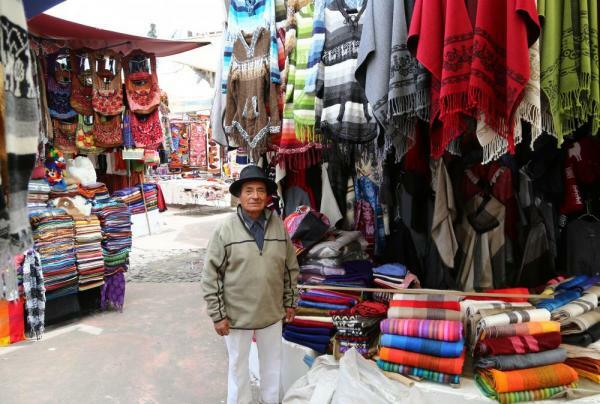 Finally, visit Cotacachi, which has good leather shopping opportunities, and Cuicocha, the ancient eroded volcanic crater, famous for its deep lake found within. Views of the lake and surrounding mountains are excellent when the weather is good. In the afternoon, continue to the Hacienda Zuleta. This working family farm dates back to the 16th century and encompasses four thousand acres between the Cayambe and Cotacachi volcanoes. Upon arriving, your hosts greet you and show you to your guestroom. Over an afternoon cup of tea or coffee, discuss the many options for activities to create a tailor-made itinerary with your host and guide based on your preferences and interests. Before dinner, take a tour of the hacienda's main building and gardens and learn about Zuleta's rich history. Today is free to explore Hacienda Zuleta. Enjoy one of the short hikes before breakfast and try to get a sight of the countless birds, some of which are really rare species like the black-crowned night heron or the black-chested buzzard eagle. After breakfast, a visit to the cheese factory can be arranged to learn more about how Zuleta´s semi-aged cheeses are produced from the farm’s fresh milk in the small factory near the guest house. Learn how the process has changed during history. As mornings are the best time to witness wild condors flying, hike, bike or horseback ride to the condor preserve. Learn about the hacienda's Condor Huasi reintroduction program to bring the condor back to this part of the Andes. Peruse the embroidery shop run by a women's community cooperative with its beautiful articles of handmade, colorful embroidery. Active hikers can also decide to do a more challenging hike up to Condor View where there is a nice overview of the area and the possibility of spotting the shy Andean spectacled bear. After breakfast, you are invited to see the organic garden where the ingredients for hacienda's menu come from. You can also explore the farm operation and lend a helping hand (counting sheep or feeding calves), and talk to the vaqueros who maintain Zuleta's ranching heritage. 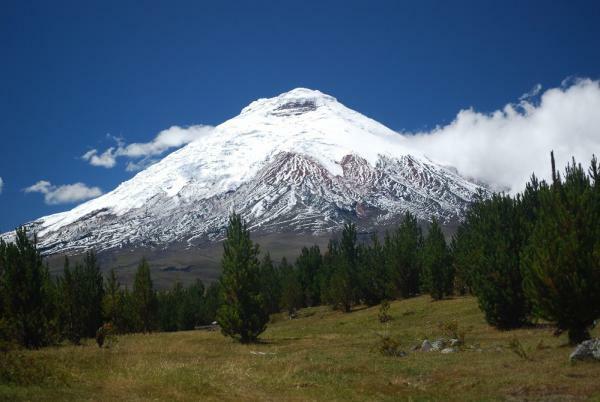 Mid-morning, say goodbye to your gracious hosts and head south along the Avenue of the Volcanoes, viewing the breathtaking high plains surrounding the magnificent snow-capped Cotopaxi - the earth's highest active volcano (19347ft/5897m). 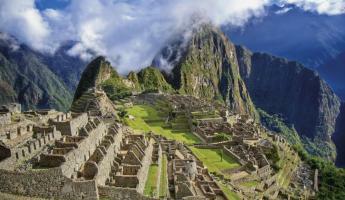 This area provides excellent opportunities to spot the Andean condor. 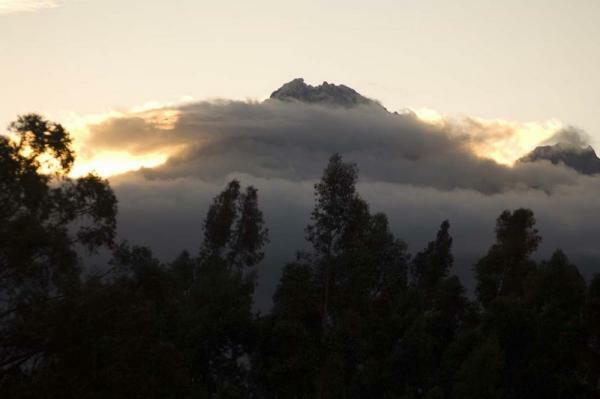 Ascend to El Parqueadero (15180ft/4600m). From this point there is an optional hike for about an hour to El Refugio, the volcano's refuge lodge (15840ft/4800m) and the nearest glacier. Continue to the colonial Hacienda of San Agustín de Callo. Built on the site of an Inca palace, this working farm is located on one of the most important archeological Inca sites in Ecuador and the furthest northern point from Cuzco where the Inca imperial-style construction has been documented. San Agustín de Callo has been the site of an Inca palace and an Augustian convent, and the various influential inhabitants of the hacienda have contributed to a unique blend of architecture and a museum-like experience for guests. Today is yours to enjoy the hacienda and to participate in any of the various activities that are offered, such as hiking, biking, fishing, and horseback riding. There are great trails on the hacienda's property and the adjacent public lands that can be explored independently or with your guide. Visit local villages on market days, such as Saquisilí, a small village famous for its Thursday market, which has eight different plazas, each of which sells specific goods. Or visit Pujili, known for its ceramic art, on Sundays or Wednesdays. Tour nearby rose plantations to see how one of Ecuador's most cherished exports is cultivated and harvested. The day ends with a delicious authentic Ecuadorian meal back in the hacienda's main building. After relaxing this morning at the hacienda, return to Quito and the Hacienda Rumiloma. Optional excursions, such as a city tour or a visit to the Middle of the World Equator monument, can be arranged with your guide. The evening is free to enjoy dinner at the Rumiloma's restaurant or head into the city center to one of Quito's fine restaurants for some nightlife. Extend your trip for a few more days!